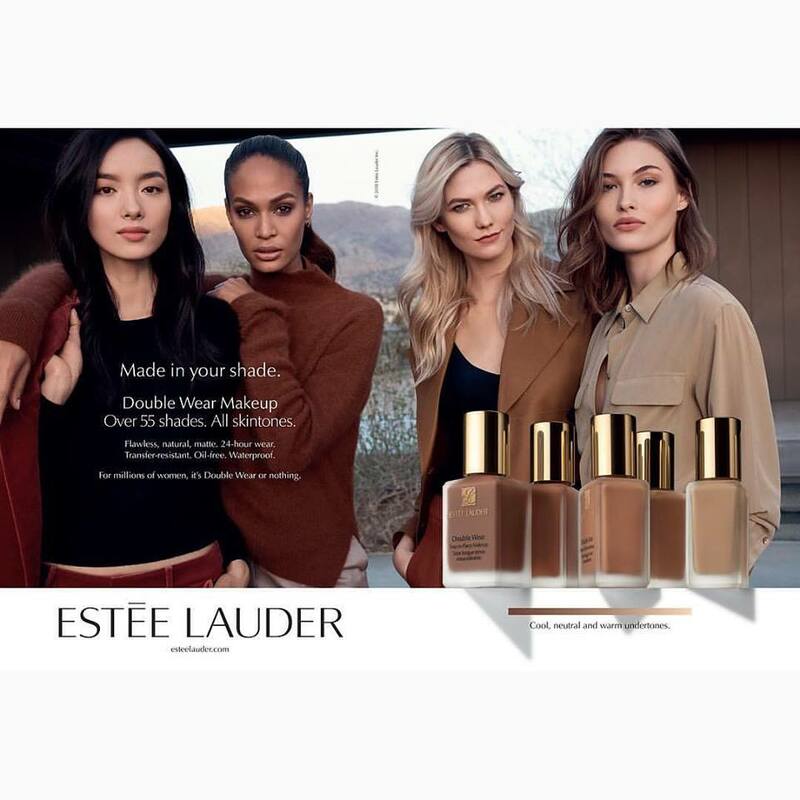 Top models Grace Elizabeth, Joan Smalls, Fei Fei Sun and Karlie Kloss launch a new Estée Lauder Double Wear Light Soft Matte Hydra Makeup. The foundation collection features over 55 shades made for a massive range of skin tones. Women can thank Rihanna for lighting a fire under the cosmetic industry to expand the range of foundation options for Latina, Black, Asian and all women of color with a wide variety of cool, neutral and warm undertones in their goddess-given skin.